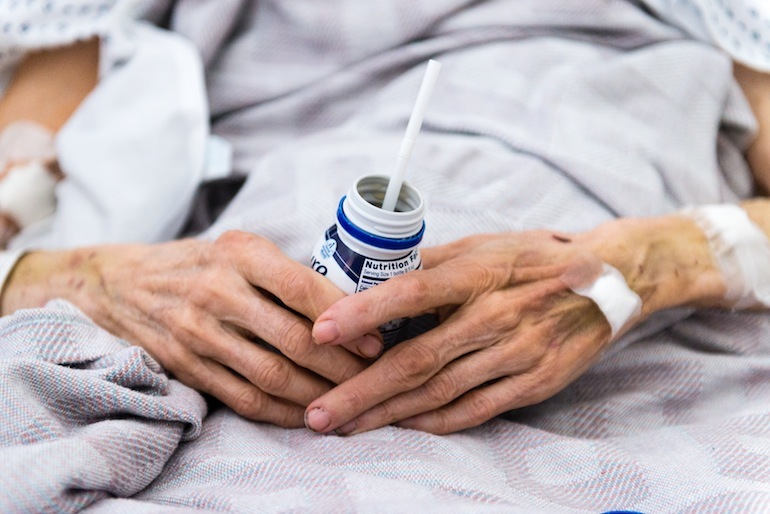 Although America grows grayer by the day, the care that elderly patients get at all too many hospitals after they’re admitted leaves them worse off when they are discharged, the Kaiser Health News service finds in a devastating report. Hospital staff often fail to feed older patients properly, get them out of bed enough or control their pain adequately. Providers frequently restrict their movements by tethering them to beds with oxygen tanks and IV poles. Doctors subject them to unnecessary procedures and prescribe redundant or potentially harmful medications. And caregivers deprive them of sleep by placing them in noisy wards or checking vital signs at all hours of the night. Some of the care is so bad it amounts to medical malpractice. Other times, it’s just indifference. The story humanizes the toll that elderly patients suffer, even when getting acceptable hospital care. Gorman tells the story of Janet Prochazka, 75. Because of a fall, she goes from independence to living with relatives after her hospitalization and decline. Or there’s 79-year-old Ron Schwarz who finds he can barely eat in the hospital where he’s under care after a fall. Some hospitals have created geriatric specialty care units, where seniors get intensive cognitive and other screening that helps to tailor treatment programs that take into consideration not only their diseases and conditions but also how these patients need age-specific attention. That’s a good start but so much more must be done. It won’t be easy, as I have written, because the nation also isn’t turning out the numbers of medical experts in aging that we will need.